About – Alarm & Communication Technologies, Inc.
Alarm & Communication Technologies mission is to provide our clients with innovative engineering and design solutions with superior installations and services that enhance life safety, security and communications. Here at Alarm & Communication Technologies, we highly value the six pillars of our success: our clients, our employees, our partners, our community, honor and integrity. 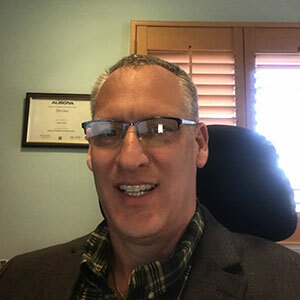 Frank Minutillo has over 35 years of experience in the Fire Alarm, Audio, Clock and Communications solutions space, and currently serves as a Board Member on NJ’s Chapter of the Automatic Fire Alarm Association. He received his fire and burglar alarm license from the State of New Jersey. After attending NJIT, Frank worked his way up the ladder obtaining multiple positions at Standard Electric Time Corporation. He joined Institutional Systems Service Corp in 1983 where he last served as Vice President and Project Manager for 16 years. In 1999, Frank embarked on a new venture in the Fire, Security, and Communications systems space and established Alarm & Communication Technologies, Inc., where he is President and Co-Owner. 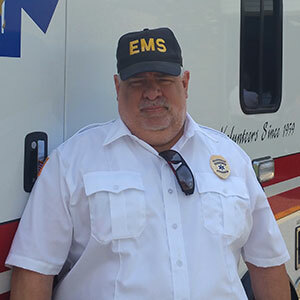 In his spare time, Frank volunteers at The Newton Theatre and is an Emergency Medical Responder at Milton First Aid Squad. Frank has also been a private pilot since 1981. Bill Kilcher has been in the electronic security and Fire alarm industry for 30 years. From residential systems to multiple industrial pharmaceutical plants, Bill has applied knowledge stemming from the planning phases all the way to end user maintenance and operations. Since 2000, Bill has used his field knowledge to successfully transition into an owner/operator focused on providing the latest proven innovations as well as highly trained and certified customer service representatives. Recently, Bill and his devoted wife of 28 years became grandparents for the second time. Bill holds a variety of manufacturer technical certificates and is currently pursuing a degree in his spare time. He enjoys music, classic muscle cars, motorcycles, martial arts, sports and spending quality time with family and friends.